The Product of Nature and Science.. The principals of Applied Health were among the pioneers in the budding natural food/supplement industry. They have been formulating and manufacturing unique and innovative, premium quality natural food products and natural food supplements for over 40 years. Drawing upon their years of experience, and a reservoir of shared information among friends and associates in the natural health field, we are proud to offer to you and your family these state-of-the-art nutritional supplements. We live in an enlightened age that integrates the latest scientific technology with timeless, naturopathic knowledge. We now know that the human body, supported by specific sophisticated nutrient factors, can establish (or re-establish) a healthy, vital condition. Applied Health uses this integrated knowledge, along with our industry experience, to develop Nutriceutical Priority Nutrient Products - a new class of nutritional food supplements that offer pharmaceutical powers without the negative side effects of prescription drugs. These nutriceuticals are the result of the evolution of decades of research. The use of these priority nutrients have gained almost universal recognition and acceptance. Applied Health is committed to the research and development of products that result in a higher quality of life, as we are at My Journey to A Cure. Good health is a priority for everyone... We hope you will make it a priority to try these products today! You will be glad you did. Harvested wild from one of nature's pristine lakes, Foundation Blue-Green Algae is a "Superfood"; a powerhouse of building blocks required for a strong body. Packed with proteins, vitamins, minerals, chlorophyll and necessary phytonutrients, Blue-Green Algae is considered to be nature's first food. 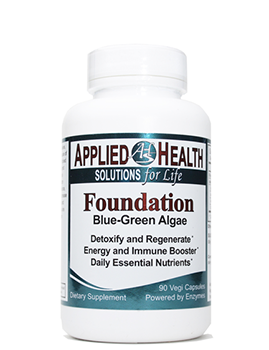 Foundation Blue-Green Algae promotes optimum pH balance, as it helps strengthen the immune system, increase energy and stamina, promote mental clarity, and reduce food cravings. Foundation's nutrients are Powered by Enzymes, to enhance maximum delivery of nutritional factors. FOUNDATION contains the finest Blue-Green Algae available, Aphanizomenon Flos Aquae (AFA), which is recognized as one of the most concentrated sources of chlorophyll (a vital phytonutrient known for its detoxifying and regenerating properties). FOUNDATION contains one of the most nutritionally dense, micronutrient foods available that has a perfect amino acid profile, which is naturally balanced for humans. Furthermore, Blue-Green Algae is a highly bioavailable protein that is 80% assimilated (meat protein is only 20% assimilated). 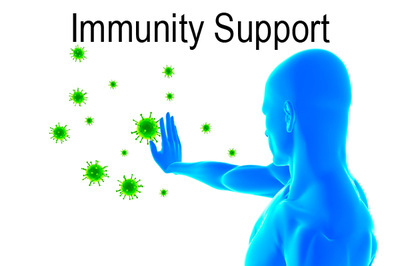 Eliminate allergies, strengthen immunity, and increase energy by building your FOUNDATION. With a perfect amino acid profile and highly concentrated source of chlorophyll, FOUNDATION is a balanced and highly bioavailable source of blue-green algae. This healing nutrient can help you balance blood sugar, improve nutrient absorption, and fight free radicals to help you find a renewed source of pure energy. As a dietary supplement, start with 1 to 2 capsules daily (with or without food) and gradually increase to 3 or more capsules, or as directed by a physician. Since it is food, individuals may adjust the quantity as desired. The maximum safe dosage of this supplement has not been determined for children, pregnant or nursing women, or those with severe liver or kidney disease. As with all supplement regimens, please consult your physician prior to use. There are no known precautions with proper supplementation. There are no known interactions with proper supplementation. 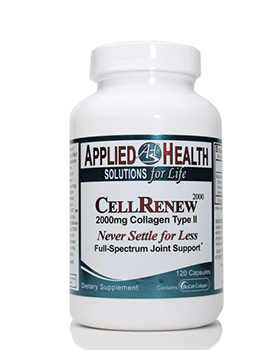 CellRenew 2000 Collagen Type II is a full-spectrum joint support nutrient. CellRenew 2000 is a complete 2000 milligrams of Hydrolyzed Collagen Type II, derived from the ONLY patented process for producing nature's full-spectrum joint support formula. CellRenew 2000 provides multi-dimensional nutritional components useful in maintaining and improving connective soft tissue (joints, skin, cardiovascualr, etc.). Naturally-occurring nutritional co-factors (Hyaluronic Acid, Chondroitin Sulfate, Glucosamine, and other collagen proteins) offer regenerative anti-aging benefits that support joint-cushion, lubrication, and mobility. 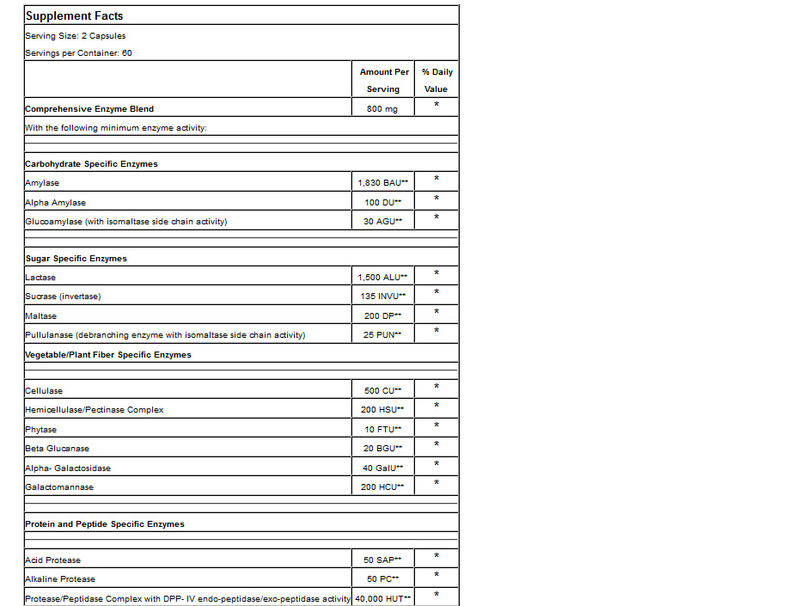 Since 1997, we have supplied discriminating customers and doctors, who accept no compromises. CellRenew 2000 defines the ultimate collagen product by containing a full 2000 milligrams of the most advance collagen type II in every dose... always has, always will. If you demand results from your joint support product, reach for the one that has proven itself for more than a decade...Reach for CellRenew 2000 from Applied Health. Never Settle for Less. CellRenew contains Hydrolyzed Collagen Type II derived from 100% pure chicken sternal cartilage. As an abundant source of naturally-occurring Hyaluronic Acid and Chondroitin Sulfates, Collagen Type II is easily absorbed to restore joint and cartilage health. CellRenew is produced in the United States through a patented process to deliver the highest-quality standards for safe, effective supplementation. Feel revitalized with a product designed to support joint function, plus renew healthy skin, hair and nails. CellRenew is an abundant source of Hyaluronic Acid and Chondroitin Sulfates. It is an absorbable hydrolyzed collagen type II product derived from 100% pure chicken sternal cartilage that strengthens cartilage, relieves joint discomfort and increases mobility. CellRenew naturally contains the key “beauty” substance, hyaluronic acid that can repair skin by boosting hydration and elasticity, while reducing the appearance of fine lines and wrinkles. 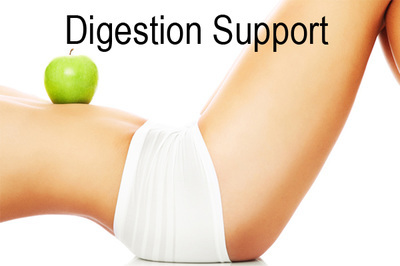 As a dietary supplement, take four capsules daily on an empty stomach, or as directed by a physician. The maximum safe dosages of the nutrients in this formula have not been determined for children, pregnant or nursing women, or those with severe liver or kidney disease. As with all supplement regimens, please consult your physician prior to use. 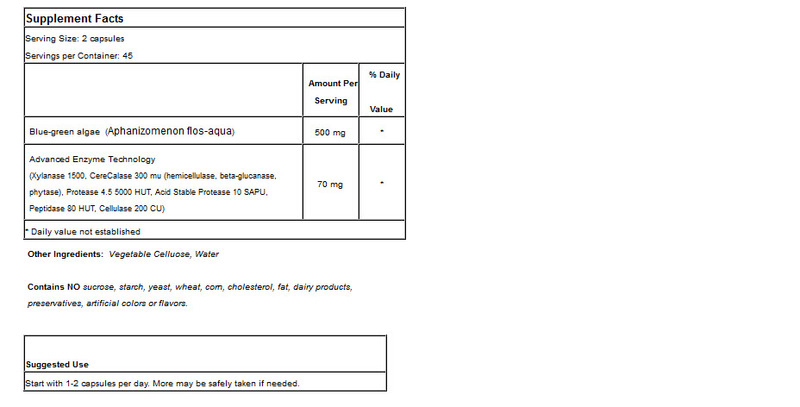 Chondroitin Sulfate - Mild gastrointestinal upset has been reported, such as nausea and diarrhea. Collagen Type II - There are no known adverse reactions with proper supplementation. Hyaluronic Acid - There are no known adverse reactions with proper supplementation. Consult a physician before taking CellRenew, as the following key nutrients may interact with certain medications. 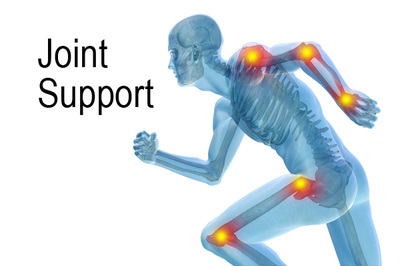 Chondroitin Sulfate – There are no known interactions with proper supplementation. Collagen Type II - There are no known interactions with proper supplementation. Hyaluronic Acid –There are no known interactions with proper supplementation. *Statements made herein have not been evaluated by the Food and Drug Administration. These products are not intended to diagnose, treat, cure, or prevent any disease. Learn more about CellRenew here. 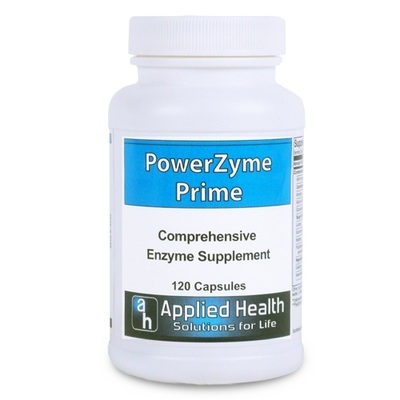 This high-potency, multi-enzyme formulation offers an complete range of plant/microbial-based enzymes that work in concert to help maintain normal enzyme levels that support the body's digestive capabilities and assist intestinal repair mechanisms. The broad-spectrum combination of enzymes in PowerZyme Prime™ maximizes the breakdown, absorption, and utilization of macronutrients from the widest spectrum of foods, including proteins and protein peptides, carbohydrates, disaccharides, and sugars, lipids/fats, and vegetable fibers. 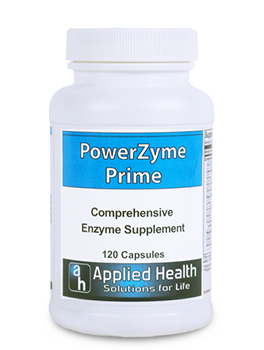 As such, PowerZyme Prime™ can serve as an important dietary adjunct for individuals requiring maximal nutrient uptake and for those with compromised gastrointestinal function such as maldigestion, malabsorption, dysbiosis, or intestinal inflammation. Learn more about PowerZyme here.